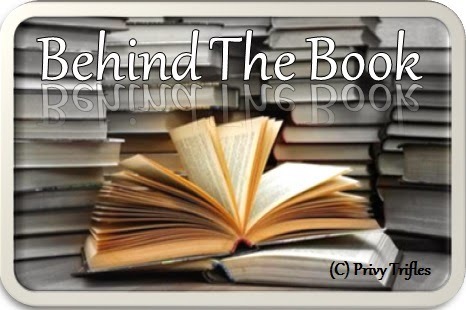 Today at Behind the Book we have Manan Kapoor the immensely talented author of the newly released book " The Lamentations of a Sombre Sky" by Leadstart Publications. It all started off almost two years ago but I have no recollection of how it all began. I shuffle down the labyrinth and I can’t remember the moment when I wrote the first word that lead to the final book. It’s not a memory that’s etched in my head, rather, it is one of those infantile moments that I can never summon. But I have some faint recollections that keep oscillating in my head from time to time. I never wanted to become a writer, it was never a dream. Even though I had always had an inchoate idea that I would go on to do something in the arts, writing was never one of them. But I used to read a lot, and I remember reading the last page of every novel that I’ve ever read. The sense of fulfilment that is followed by a void that is created as you crawl towards the final word – it had always astonished me. And hence, it wasn’t really surprising when I realised that I had a first draft ready. My mother, who is a vociferous reader herself, read the first draft and told me that I need to work upon it, that it wasn’t simply good enough. And so it began. I spent two years and six months, eleven drafts, thousands of mugs of coffee and 4:00 am solitary victories till I finally had the final draft. Someone recently said to me that there are two kinds of things that exist in this world art, and adornment– when you describe a usual phenomenon so exquisitely that it almost seems like art but lacks value. It is something that doesn’t have a significance, a meaning, a purpose, or an emotion attached to it – just a rich description. And I realised that I started off with adornment initially. I had a basic structure, a simple storyline that I rewrote till it was nothing more than a beautiful description of what was happening. But it still lacked emotion and I reshaped it till it was perfect, and redrafted it again because my definition of perfect had changed. Many a times I would try to write like my favourite authors, trying to describe a movement, trying to turn it into an almost a visual depiction. And then another draft would follow. In those pauses between the two drafts, I would realise that I had added so much to the incipient drafts, that it wasn’t just a vivid description anymore, but something more personal. It carried certain emotions, experiences, and conversations that I had had during the past years. The book, suddenly, ceased to exist as an inanimate description of events. It was something that I did subconsciously and I wonder if I can repeat it again, but it was almost as if I added life through the words. It was almost seamless. But even then, it wasn’t enough. I think there is always room for improvement. Even if I sit down today, I will find things that I would want to change in the novel. It is something I can do till eternity because the definition of perfection is something that is constantly changing for all of us. If you ask me to write a book on the same lines as The Lamentations of a Sombre Sky, I wouldn’t. I’ve grown as a person, a reader and a writer in the past couple of months and I think it is a never ending process. 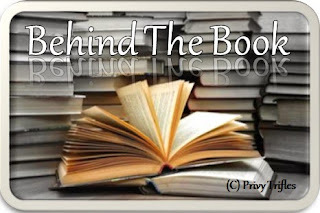 Coming back to the book. The book is loosely set in the early 90’s in Kashmir, during the insurgency and the exodus of the Kashmiri Pundits. But I’ve noticed that whenever I mention the word ‘Kashmir’, the attention shifts from the plot to the setting that I’ve used. Kashmir, suddenly, becomes more relevant than the plot which is more important. A lot of people have asked why Kashmir? And the only notion that comes to my mind when someone questions me, is because it magnifies the story.The setting has weight but it doesn’t pull the plot down with itself like gravity, rather it lift it, gives it more meaning. 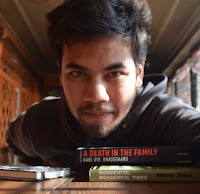 The novel is primarily about how you’re never immune to loss and I think what the people in Kashmir are going through, it’s an epitome of loss and bereavement. It is not something you and I will understand, but only him who has been crushed by its weight. But that’s not the case anymore. I’ve come to realise that I can work even without a particular setting or a time period. Currently, I am working on a novel that’s still an embryonic thought in my head. But I’m sure it will turn into something I can embellish, and eventually after a couple of drafts, developand maturethrough time intosomething I appreciate (because that is all that matters). Manan Kapoor was born in Shimla. He graduated from Panjab University in 2015. He discovered his love of reading, devouring the works of Orhan Pamuk, Haruki Murakami, Salman Rushdie, Amitav Ghosh and Jhumpa Lahiri. He currently resides in Chandigarh. You can reach him through any of these.